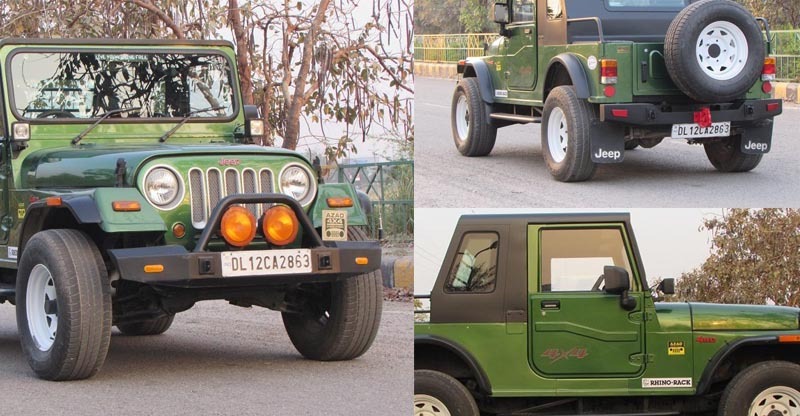 The Mahindra Thar has provided a pretty clean canvas to many car customizers across the country. Regulars here would know that we’ve already featured a gazillion modified Thars, ranging from some tastefully done up examples to some really weird and wacky creations. 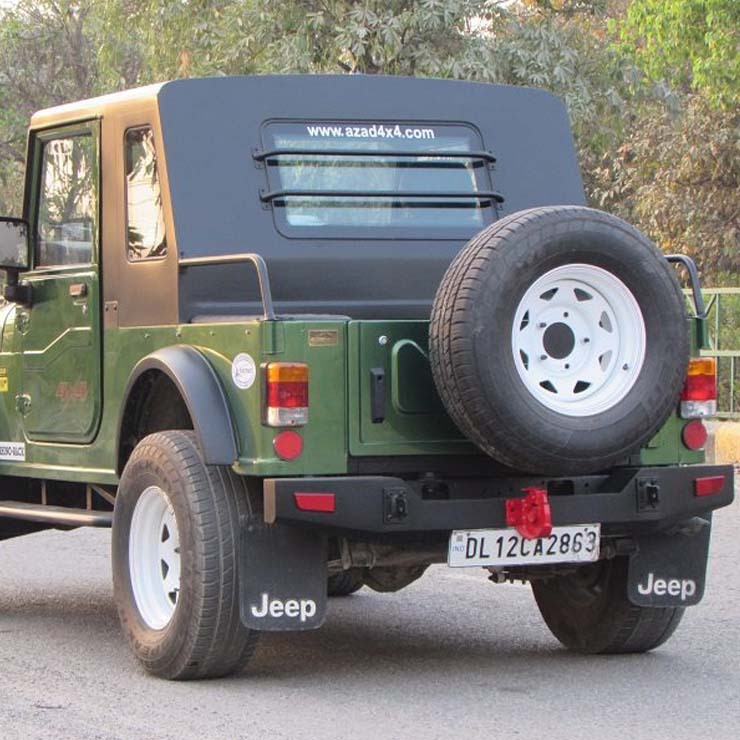 The modified Mahindra Thar you see below falls in the former category. It carries a handful of subtle modifications and has been very neatly prepped up by Delhi-based Azad 4×4 Customization Studio. As you can see above, at the first glance, the most striking detail is the custom green paint shade. The front-end of the car also gets a new grille that retains the five-slats but there’s a wire mesh added to these openings. You also get a custom bumper that has two heavy-duty foglamps mounted on it. This Thar also gets a couple of searchlights mounted just below the windshield on either side. There’s also an Azad 4×4 plate on the bumper. In the side profile, you’ll be quick to notice the white-painted custom steel wheels and the new metal roof that replaces the soft top. 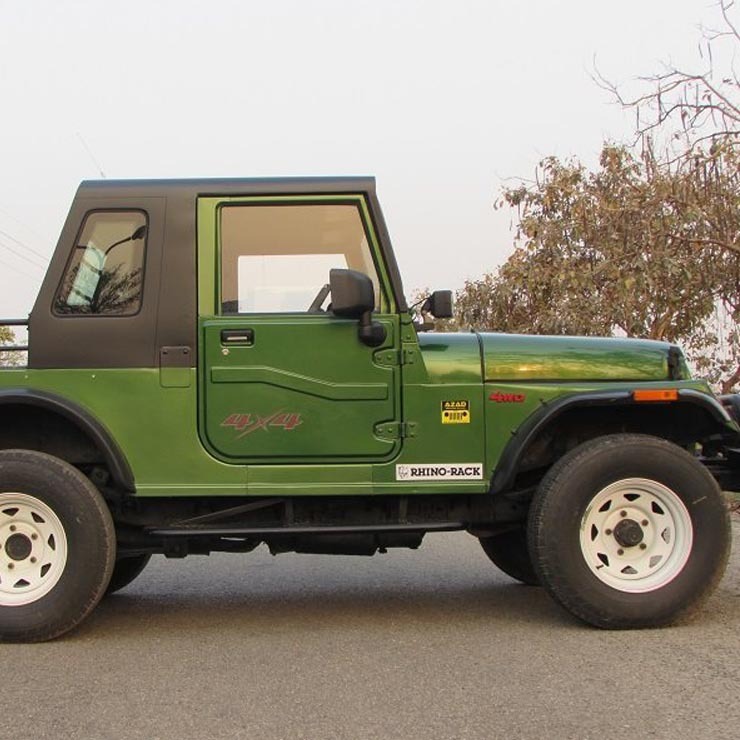 It’s actually this rather sporty-looking hard top that gives this Thar a unique distinct identity. Other than this, you also get a 4×4 decal on the door and some more stickers on the front fender. You also get new wing mirrors, which seem to mimic the ones on Jeep Wrangler. The rear gets a small windscreen for the metal hard top, custom seats in the loading bay, and a custom bumper with a red-painted tow hook. The Thar also gets new mud flaps with bold ‘Jeep’ letterings. The interior gets new seat covers. Other updates include a roll bar, a jerry can, and Armada Xtreme shock-absorbers. 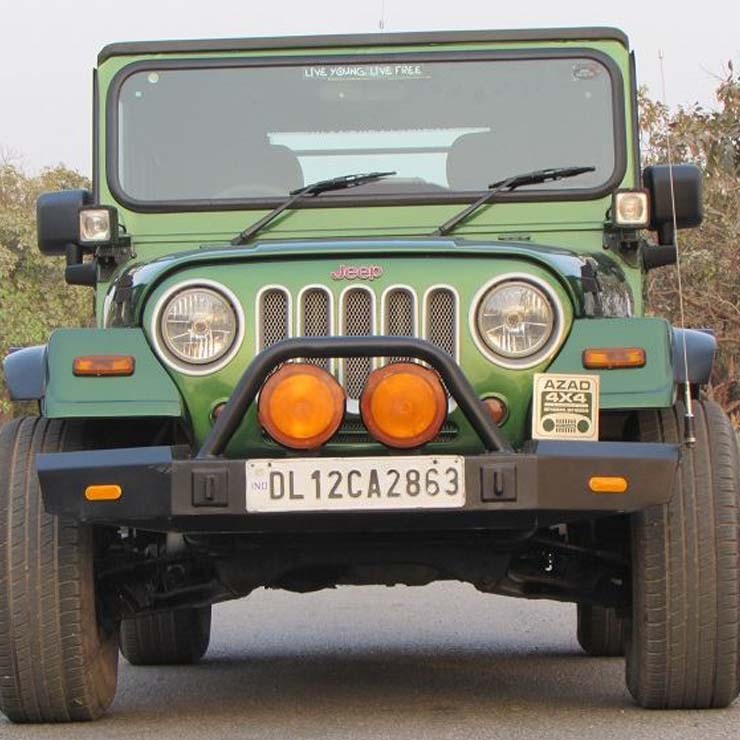 The engine has been left untouched, which means this Thar continues to get its juice from a 2.5-liter turbo-diesel engine that outputs 105 bhp and 247 Nm. The motor offers an ARAI-certified mileage of 16.55 kmpl.